Now that HAMP is ending, Fannie Mae and Freddie Mac have announced a new “Flex Modification” home loan modification program. 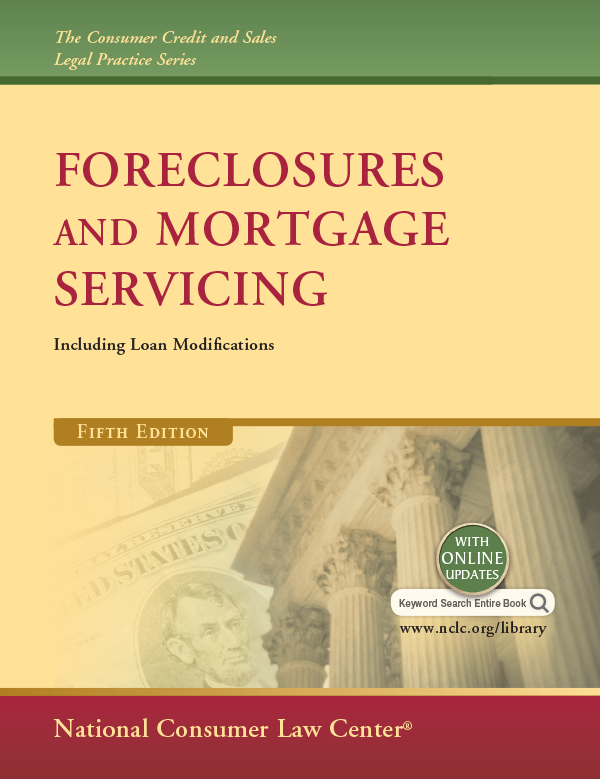 This article summarizes the new program and more detail is found on the online version of NCLC’s Foreclosures and Mortgage Servicing § 5.11.3a. 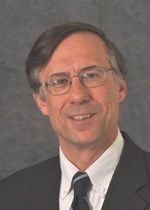 Flex Modifications not only replace Fannie Mae and Freddie Mac’s version of HAMP, but also the “Standard” and “Streamlined” modification programs that Fannie and Freddie offered in the past. Flex Modifications will be the only modification program offered by servicers of a mortgage loan owned or guaranteed by Fannie or Freddie. While servicers can now offer Flex Modifications, they are not required to do so until October 1, 2017. As a result, during 2017, one is likely to see servicers of Fannie and Freddie loans offer a variety of modification programs, including HAMP modifications where applications were submitted by December 30, 2016. See Id. § 5.11.3a.2. Servicers are required to send all eligible borrowers a Flex Modification trial plan offer between 90 and 105 days of a delinquency. The servicer will need no information from the consumer to determine eligibility and the new monthly payment amount. The servicer makes these determinations based upon information in the servicer’s own records—the unpaid principal balance, the property’s value, and the amount of the borrower’s current monthly payment. Even if the homeowner does not initially accept the trial plan offered between 90-to-105 days of delinquency, servicers can also continue to make Flex Modification trial plan offers up to shortly before a foreclosure. See Id. § 5.11.3a.3.5. Flex modifications may significantly reduce monthly payments. The modified payments are computed by first capitalizing any arrears, then reducing the interest rate (if lower than the contract rate) to the standard Flex Modification rate (currently 4.25%), and then amortizing the outstanding principal over 40 years from the modification date. See Id. § 5.11.3a.5.1. If a home is worth less than the outstanding principal, monthly payments are based on a principal amount equal to the home’s value, or 70% of the outstanding principal, whichever is more. The remaining principal is not excused but merely forborne so that it must be paid in full when the house is sold, refinanced, or paid off. After these steps, the servicer determines if these steps have reduced the monthly payment by at least 20%. If not, the servicer must forbear more principal to attempt to reduce payments by 20%. It must keep forbearing additional principal until the 20% standard is met. Nevertheless there is a limit to the amount of principal that can be forborne—it cannot exceed the lower of 20% of the home’s value or 30% of the outstanding principal. The servicer may not approve a Flex Modification that increases the homeowner’s monthly principal and interest payment. See Id. § 5.11.3a.5.1. Before offering homeowners a permanent Flex Modification, the servicer offers a Trial Period Plan that generally lasts three months. The servicer establishes a monthly payment and due dates. As long as payments are made by the end of the due date month, foreclosure actions are stayed. Upon completion of the trial period, the homeowner and the servicer sign a modification agreement that among other things waives all existing late charges penalties, stop payment fees and similar charges. See Id. § 5.11.3a.3.4. Situations Where Consumer Should Instead Apply for a Modification. There are at least four important situations where consumers may want to affirmatively apply for a Flex Modification instead of waiting for servicer to offer a modification. 1. Applying before a loan is 90 days delinquent may allow for a lower monthly payment, but no modification is allowed until the loan is at least 60 days delinquent or in “imminent default.” As described above, where a servicer offers a modification on its own, it seeks to reduce the monthly payment by at least 20%. When the homeowner applies within 90 days of a delinquency, the goal is also to arrive at a modified payment that does not exceed 40% of the homeowner’s income. But the size of the payment reduction has the same cap as the servicer-offered modification—principal subject to interest must be at least 80% of the home’s value and no more than 30% of the modified principal balance can be deferred. See Id. § 5.11.3a.5.2. 2. Where the servicer has failed to offer a modification, homeowners can apply for a Flex Modification on their own at any time. When the homeowner applies more than 90 days after a delinquency, the same modification standards apply as where the servicer offers the modification unilaterally. 3. If the homeowner fails to accept a servicer’s modification offer (such as where the offer has been improperly computed), or if the servicer had failed to respond to a prior application, the homeowner can still apply for a flex modification on his or her own. While CFPB servicing rules applicable to loss mitigation reviews do not apply where the servicer has made the modification offer on its own, when the homeowner applies for the modification, the homeowner has rights under the CFPB servicing rules. The servicer’s violation of those rules may provide the homeowner with a RESPA private right of action. See Id. § 5.11.3a.7. 4. Applying for a Flex Modification can forestall a foreclosure. Both the Flex Modification and CFPB servicing rules require deferral of a foreclosure sale or entry of a foreclosure judgment while the servicer reviews the homeowner’s complete loss mitigation application. To forestall the foreclosure, the application must be made at least 37 days before the foreclosure sale. This rule only applies to a homeowner’s first modification application (a servicer’s unilateral modification offer does not count as a prior application). Where a servicer proceeds with a foreclosure despite the application, the homeowner has a RESPA private right of action for violation of the CFPB servicing rules. See Id. § 5.11.3a.3.3. Homeowners seeking to apply for a Flex Modification must complete Fannie and Freddie’s standard Uniform Borrower Assistance Form 710, a four page form. Under Fannie Mae and Freddie Mac’s guidelines, the servicer must provide the Uniform Borrower Assistance Form 710 to the homeowner within 45 days of a delinquency. In order to have the application deemed complete, the income and expense information required by the form should be provided even though it will only be evaluated for applications within 90 days of a delinquency. See Id. § 5.11.3a.3.2. Form 710 also requires designating the hardship that led to the delinquency. Responding to this part of the form with a long-term hardship is important, even though the nature of the hardship would be irrelevant to a servicer-initiated modification. Where a homeowner applies for a modification and the hardship is deemed temporary, a servicer may respond to the homeowner’s application with an offer other than a Flex Modification. Such an offer may be to allow payments to be temporarily forborne or to allow the homeowner to catch up on missed payments over time. The servicer may only offer a Flex Modification if it deems the hardship to be long term or permanent. See Id. § 5.11.3a.4. Eligible for a Flex Modification are a homeowner’s principal residence, a second home, and investment and vacant property, as long as the property is sixty days or more delinquent or in imminent default. Not eligible are certain homeowners who have entered prior loan modification programs, as described at Id. § 5.11.3a.4.